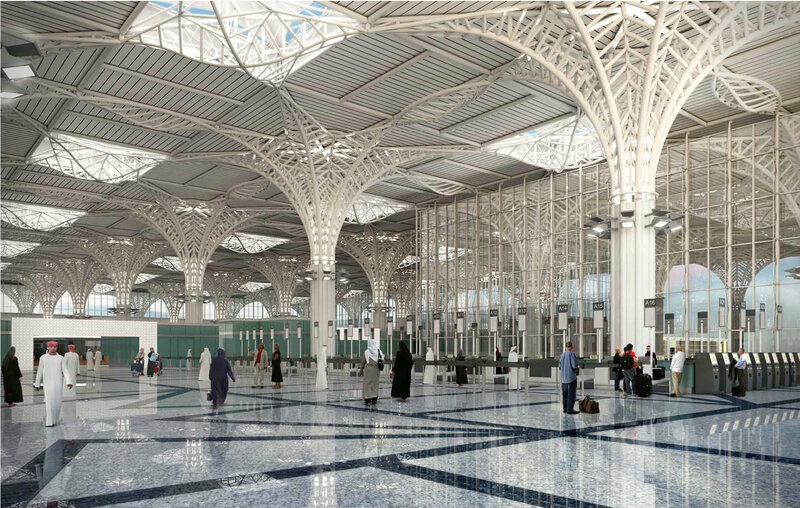 The first airport to be fully built in the GCC via a public–private partnership (PPP), Prince Mohammed bin Abdulaziz Airport expansion project has been mainly designed to help the region cater for the influx of Hajj and Umrah pilgrims every year, as it will have a capacity to accommodate up to 8mn passengers. 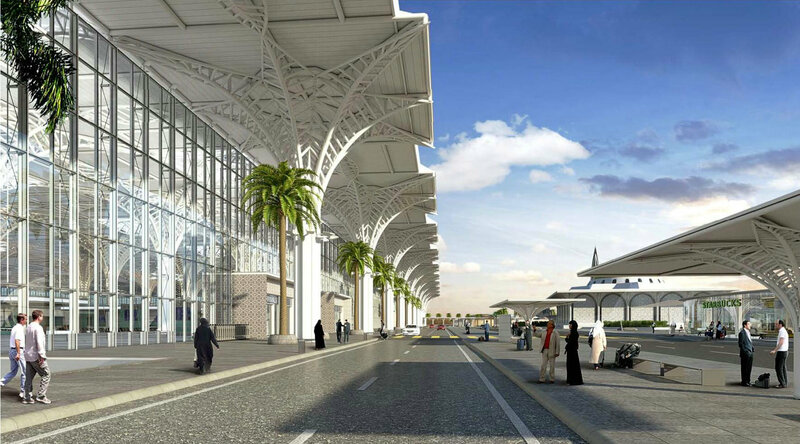 The construction agreement for the airport in Madinah will be built in two phases on a build-operate-transfer (BOT) basis for a 25-year period. 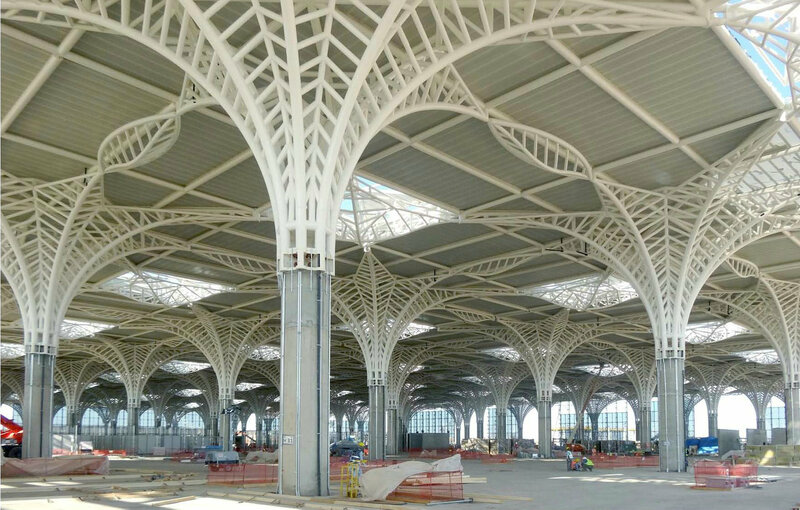 Construction for the $2.4bn airport expansion was awarded to TAV Airports of Turkey, Saudi Oger and Al Rajhi Holding Group. 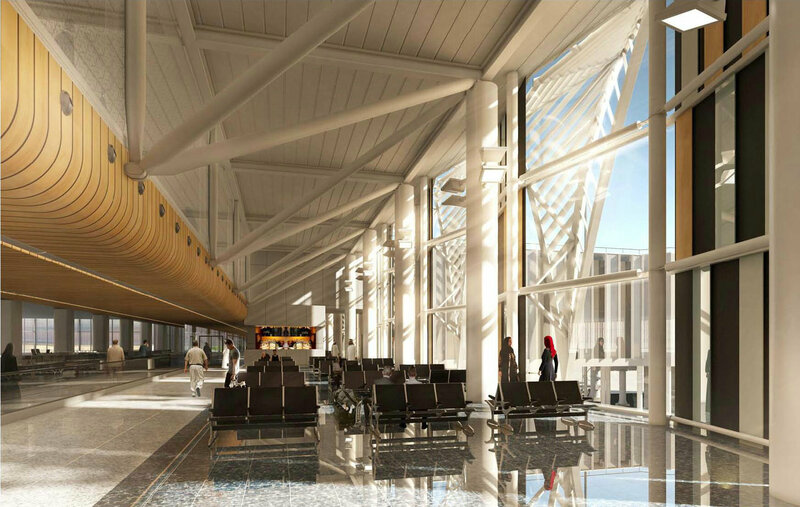 TAV Construction deputy managing director Cumhur Kaur stated that TAV and Al Arrab JV will complete the engineering, procurement and construction (EPC) contract of Prince Mohammed Bin Abdulaziz International Airport in the first quarter of 2015. He said that as of April 2014, 76% of the project is completed and the airport will have an additional 8mn passenger capacity upon completion. 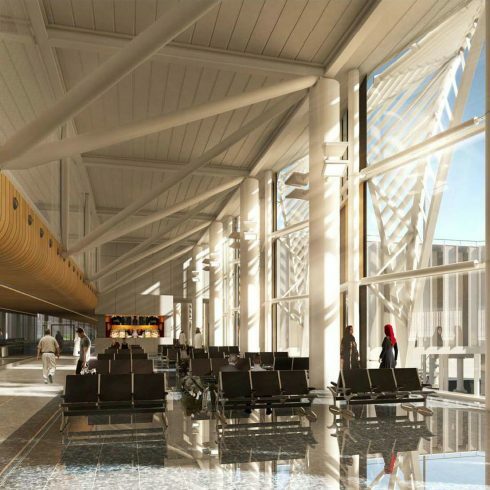 The project will include a 153,000m2 passenger terminal with 32 passenger boarding bridges, 26 auxiliary buildings, two new runways, three parallel taxiways and over 300,000m2 of apron. When the TAV-led Tibah Airports consortium made history by winning the tender to operate Medina’s Prince Mohammad Bin Abdulaziz International Airport, it knew exactly what was expected from it by the Saudi government. Under the terms of its 25-year Build-Transfer-Operate (BOT) concession for the airport which officially commenced in June 2012, it agreed to construct a new terminal and carry out a number of airfield enhancements within three years to effectively double its capacity to 8mppa. One year on from taking over responsibility for operating the airport and its new terminal is already beginning to take shape. The concessionaire also plans to the upgrade airport’s existing runway and add new parking apron and taxiways. 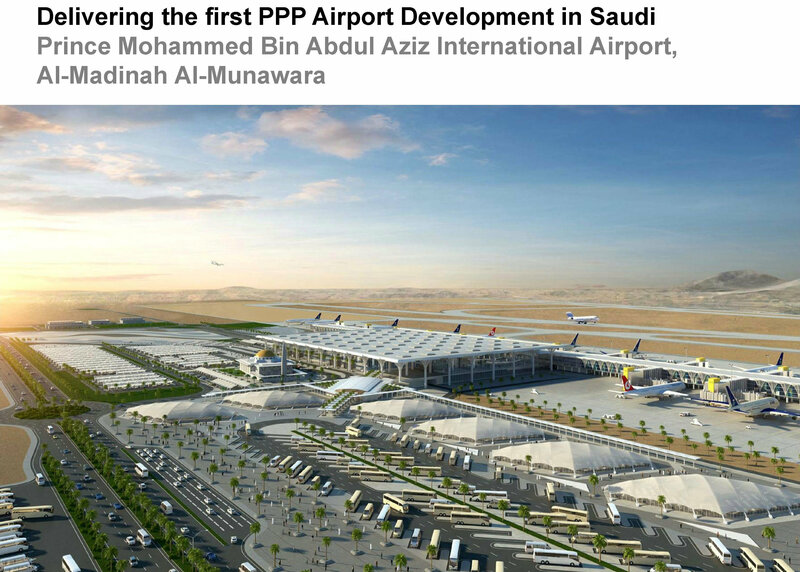 Indeed, Saudi Arabia’s first full airport privatisation project is doing so well that there is already speculation that the project, which is being partly funded by Islamic financing, could be repeated elsewhere in the region. “It is probably one of the world’s more unusual BOT concessions as Saudi Arabia’s is one of the richest countries and doesn’t need the money,” says Waleed Youssef, chief strategy officer for TAV Airports Holding. “What the Saudi government wanted from the deal was to bring in some outside expertise and create an environment for change, and possibly use it as an example for further change, in the aviation sector. Medina was basically the government’s pilot programme for privatisation in Saudi Arabia. It gave it the chance to convince itself that privatisation could work and influence public opinion about the advantages of placing key assets in the hands of private investors. It was quite a risk for the government and, of course, the investors as it was the first such privatisation project in the Gulf region. 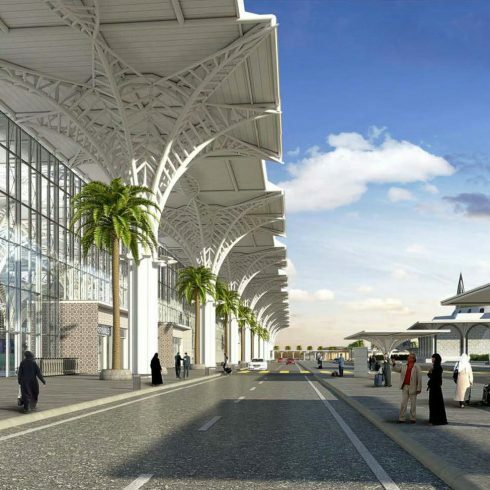 Issues such as the size of Saudi Arabia’s airport system, the fact that the airport operator and regulator are one entity and that the Civil Aviation Authority gets its budget from the Central Ministry of Finance, certainly make it difficult for the government to plan long-term capital investment projects in Saudi Arabia. It has, of course, dipped its toe in the water by awarding Aéroports de Paris (ADP) and the Bin Laden Group building the new Hajj Terminal at Jeddah, while both Fraport and Changi Airport Group have management contracts at Saudi airports. 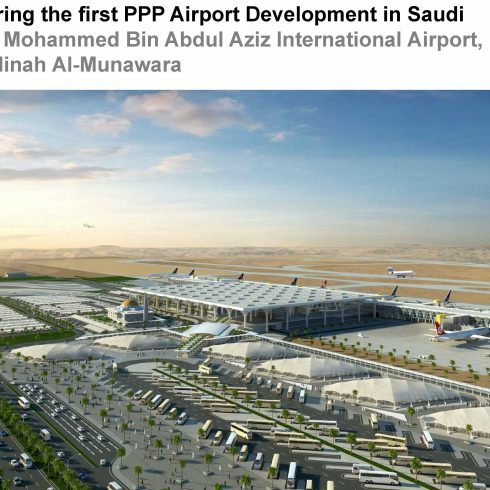 However, Medina is the first Saudi airport to be fully privatised, and Youssef points out that the consortium must be doing something right as Project Finance International (PFI), a Thomson Reuters publication, recently named the Medina project as the ‘Middle East and Africa Infrastructure Deal of the Year’. Youssef believes that the highlights of the project are very simple and straightforward – it is the first airport privatisation project in the region and is technically a BOT project, although because the deal has been funded by Islamic financing, the term doesn’t really apply. 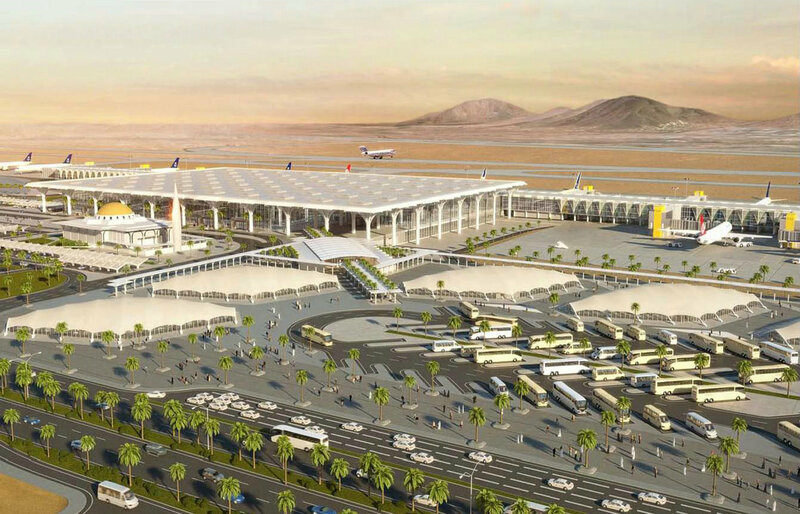 Like most deals, the concessionaire has agreed to give the Saudi government a percentage share of the airport’s revenues, and as such will be looking to boost Medina’s income through expanding its route network and increased retail and F&B sales, particularly, when the new terminal opens. 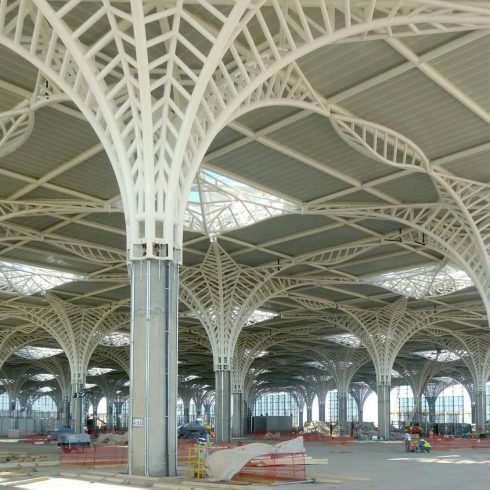 Today, 90% of the airport’s income comes from aeronautical revenues, a figure the concessionaire wants to reduce to 85%.Youssef notes that although the figure of 85% may still seem high, Medina’s status as holy city for Muslim pilgrims means that it traditionally handles up to 50% of its annual traffic within a 40 day period each year. He also says that the duty free concept doesn’t exist in Saudi Arabia as there is no tax, and explains that as the vast majority of pilgrims are not traditionally high earners, the potential to earn significant revenue from retail is somewhat limited. 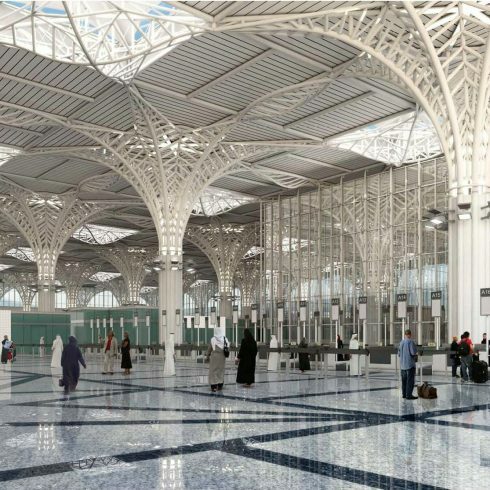 TAV Airport is confident that the enhanced handling capacity the new terminal brings will mean that more pilgrims fly to Medina that are able to do so today, the bulk of whom currently use Jeddah as Mecca and Medina are only 500km away. He also believes that TAV can use its experience as an airport operator of primarily Muslim airports to stimulate more traffic between them and Medina. Indeed, TAV’s network of airports currently provide 25% of Medina’s traffic, and Youssef admits one of the challenges he is looking forward to is growing and serving passengers at both ends of their journey. 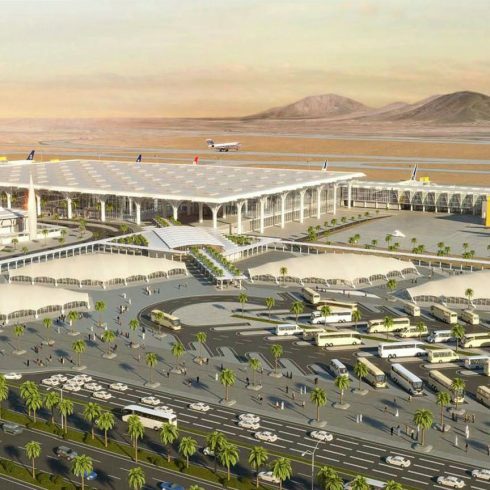 Concessionaire, Tibah Airports, will also look to raise customer service levels at Prince Mohammad Bin Abdulaziz International Airport, although Youssef admits that the basic requirements of pilgrims is much lower than traditionally expected at other airports across the world. Clauses built into its contract means that the next phase of the airport’s development – expansion to the yet to be built new terminal – will be automatically triggered when passenger numbers pass certain thresholds. Youssef says that this philosophy gives Tibah Airports the flexibility to only build new facilities when they are needed and not before. TAV Airports currently operates Istanbul Atatürk Airport, Ankara Esenboga Airport, Izmir Adnan Menderes Airport International Terminal and Antalya Gazipasa Airport in Turkey as well as two airports each in Georgia, Tunisia and Macedonia.